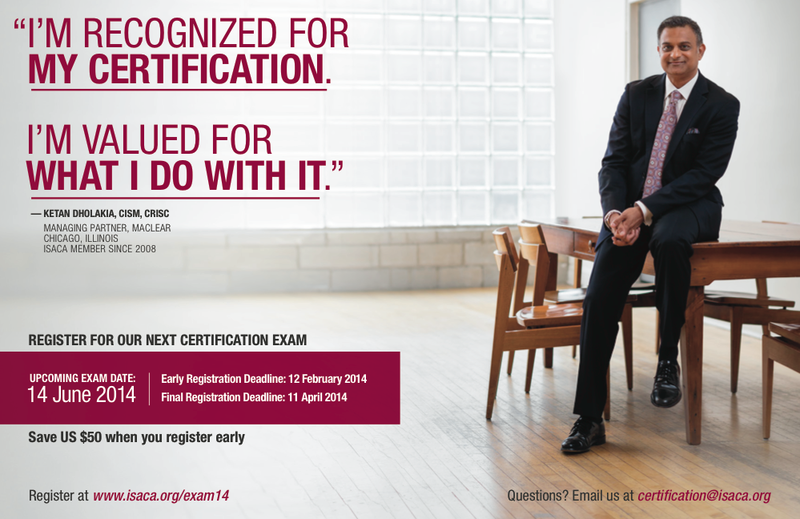 "I'm recognized for my certification. I'm valued for what I do with it." ISACA is one of the most prestigious IT certification programs in the world, but they're recognized mainly for their Audit certification. 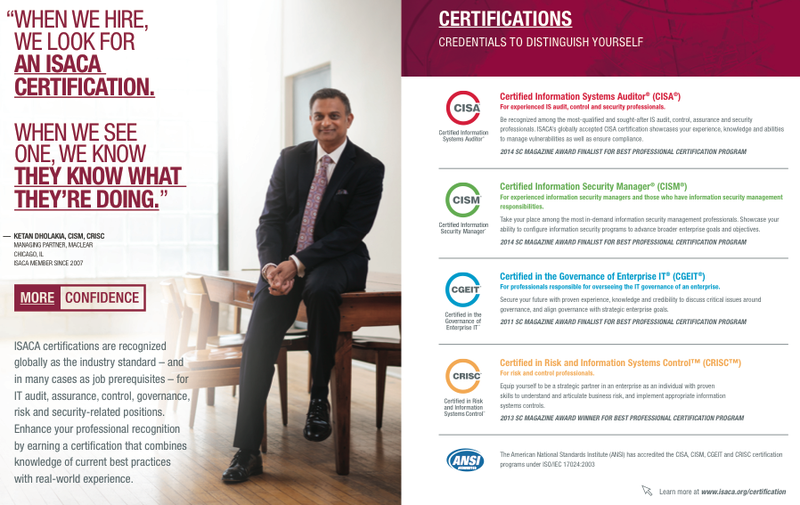 In an effort to raise awareness of their other certifications, as well as their global network, they asked us to create a series of assets to promote their offerings and entice potential members. These assets included a recruitment mailer, a print ad, and an eDM, all leading to a landing page that encouraged visitors to sign up for upcoming exams. We also created a brochure that was to be distributed at IT conferences. Through interviews, we captured the voice of actual ISACA members, and used their stories and experiences to relay the benefits of an ISACA membership, the prestige of it's certifications, and the connectedness of it's global network.